Kabir's unconditional love for Firdaus forces Zaheer Iqbal to set out on a Safar to look out for her in the latest song from Notebook. Showcasing the mesmerizing beauty of Kashmir, the song treats the audience visually while the soothing lyrics and melodious voice serve music to the ears. Kabir played by Zaheer Iqbal is determined to search for his love Firdaus essayed by Pranutan as he embarks on a voyage not just physically but also emotionally. @pranutanbahl @iamzahero @nitinrkakkar @SKFilmsOfficial @Cine1Studios @muradkhetani @ashwinvarde @VishalMMishra @_MohitChauhan @mekaushalkishor @TSeries @ItsBhushanKumar." After Nai Lagda, Laila, Bumro and Main Taare, the makers of Notebook released the fifth song of the film titled Safar. Composed by Vishal Mishra, sung by Mohit Chauhan and penned by Kaushal Kishore. Shot in the beautiful locales of Kashmir, Notebook is directed by National Award winner Nitin Kakkar and it is presented by Salman Khan. The film marks the debut of Zaheer Iqbal and Pranutan. 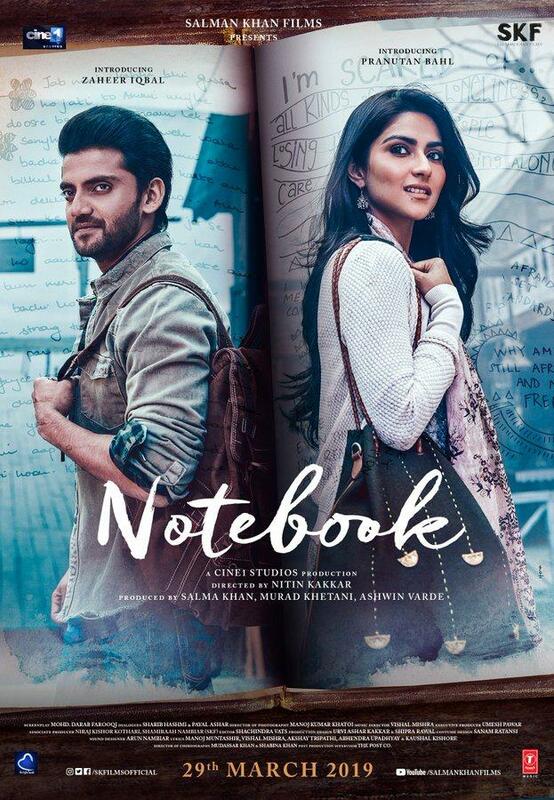 Notebook takes the audience on a romantic journey back in time against the backdrop of Kashmir, raising the question - can you fall in love with someone you never met? Notebook has been shot in the exquisite valleys of Kashmir bringing to life the interesting and exciting love story of Kabir and Firdaus. Based in the year 2007 to 2009 the movie marks the acting debut of Zaheer Iqbal and Pranutan.